The new way to collaborate! SharePoint is an ideal platform to share contents, ideas, and the vision of your company; it is scalable enough to perform the organization and administration of your information and documents. Increase personnel productivity in your organization and keep your teams and projects in synchrony. Sharepoint 2013 creates a totally new and simplified experience, so that common tasks such as sharing a document, editing lists online and creating sites is easier than ever. Migesa Consulting Services puts implementation and development within your reach in order to build an advanced collaboration platform that allows you to increase productivity in your organization, either by implementing it locally (OnPremise) or with the storage services in the cloud. SharePoint 2013 introduces a set of new solutions that will allow you to share your work, ask, and keep track of what other members in your organization are doing. With Office Web Apps, edit and synchronize documents in real time or simultaneously using the applications you already know such as Word, Excel, and PowerPoint. Share your work through a single click; SharePoint offers integration with SkyDrive Pro to share, store and take your documents wherever you go. Keep employees up to date, divide sites, increase information reuse, document the history of your organization, and make more effective searches. Check document previews in real time; see the users you are sharing with, when your document was last edited and by whom. Move (drag and release) contents directly from your personal equipment to your SharePoint portal and vice versa. 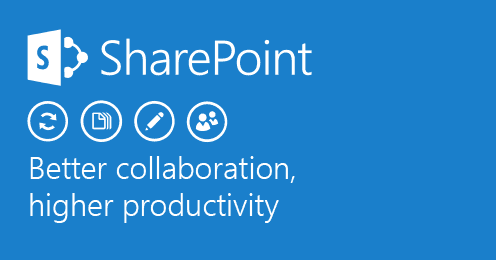 Maximize your collaboration level in SharePoint! The Collaboration and Development Tower of Migesa Consulting Services has a select group of certified experts with broad experience in collaboration solutions based on Microsoft SharePoint. SharePoint is an extremely powerful tool from which companies can benefit; our purpose is to assess, support, and motivate our customers to increase their collaboration level. Our services range from updating versions and creating electronic forms for processes, to developing customized workflows that will help your organization to reduce costs and increase productivity. Simplify and automate the internal processes of your company. Customize and create powerful “Master Pages” for your organization portals. Exploitation of information, presentation of reports, and external BD inquiries. Migration and development of workflows in SharePoint 2010 and 2013.